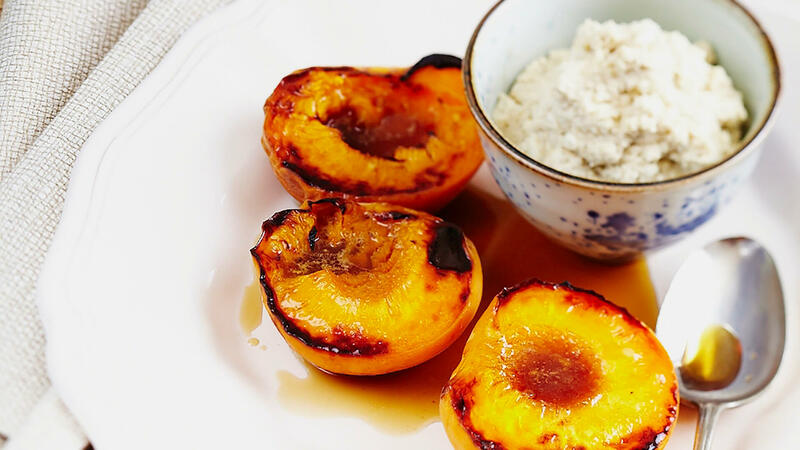 Enjoy the last of this season's peaches with this delicious recipe from Rachael Finch. 1. Place peach on a grill tray cut side up, pour a little syrup over each peach and dot with a little butter. 2. Cook under a hot grill until bubbling and heated through. 3. Mix together ricotta, sugar and vanilla. 4. Serve immediately with the grilled peaches.